Software developers in search of a platform still wonder whether Google(s goog) is serious about Google AppEngine. As in serious enough not to pull the plug on the platform as a service in six months, next year, or the year after. Google’s problem is that many developers simply think GAE and other development tools are a sideline to Google’s advertising-fueled search engine and are thus expendable in the fluctuating line of services that Google launches, tests and either keeps or discards. That’s why Google, despite its formidable infrastructure, doesn’t get much respect from developers. Greg D’Alesandre, AppEngine product manager, understands their angst, since he worked on Google Wave, the collaboration service launched with fanfare in 2009 and folded the following year. He acknowledged that Google sometimes launches services before a business model is cooked. D’Alesandre would not comment on that personnel move but reiterated that Google is fully behind developers. Current GAE developers fall into three categories — mobile developers like Pulse; consumer web applications; and internal business applications “like Lotus Notes,” he said. Other applications running on GAE are Webfilings, Best Buy’s Giftag gift registry, parts of Evite, and Cloudlock. Victor Sanchez, CEO of Mashme.tv, a Madrid-based online collaboration and video conferencing service, does not have to be sold. Sanchez went with GAE because it takes care of all the infrastructural heavy lifting. “Google is my sysadmin. I cannot say how big this is for us as a startup,” he said via email. Although the Mashme.tv team is very technical, they wanted to focus entirely on product development, not plumbing and plumbing management. Second, Google has made progress with its platform support and now offers attractive service level agreements, in his view. The adoption of those SLAs convinced Sanchez that Google was serious about GAE. His platform choice was influenced by bad experiences with Amazon(s amzn). When his last company experienced an EC2 bug, it took Amazon five days to respond while Google responds within two or three hours if he has an issue. Then, if the problem persists, they call. That is “really hard to beat,” he said. He and others acknowledged that Google shot itself in the foot when it raised GAE prices last year, sparking outrage among some GAE shops. But Jeff Greg Bayer, backend systems engineer for Pulse, said Google worked with his company to tune its workloads and mitigate the impact of the changes. And some maintained at the time, that the fact that Google is pricing GAE as a bona fide business platform, means GAE really is a business. Still, Google needs to bring more developers aboard, and to do that it must persuade them that developers can rely on GAE and related services well into the future as well as provide a consistent, predictable roadmap with no more unpleasant pricing surprises . Toward that end, developers would like to see Page, who assumed the CEO title last year, make an appearance at the Google I/O conference in June. The presence of Google’s top exec at its developer-focused event could go a long way to show that Google really is all-in with developers. A Google spokeswoman would not comment on the speaker lineup for the show. Say what you will about Microsoft CEO Steve Ballmer: He has always been clear that developers are absolutely critical to Microsoft. Page needs to convince them that they are also crucial to Google. You can safely ignore the Whittaker guy, a motivational speaker re: QA testing, and perennial conference attendee. Since he was not an engineer, was nowhere near (nor had any interest in) any code, and certainly was kept far from decision-making range (all the self-generated bluster notwithstanding), that entire paragraph doesn’t even fit with the rest of this article. 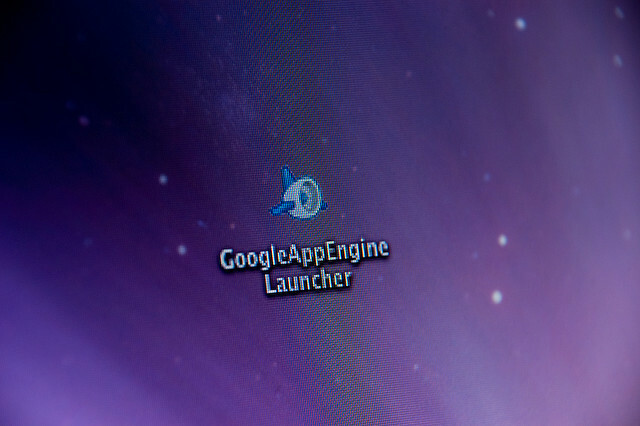 I thought Google uses App Engine for many of their own services. If so, then I see little downside for Google to continue to sell GAE: they simply need to maintain public documentation and a billing system.